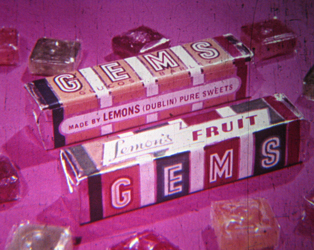 The Irish Film Institute has received funding from Broadcasting Authority of Ireland Archiving grant scheme to undertake a project to conserve, preserve, digitize and make accessible a large collection of 35mm film television advertisements. In order to deliver the project the IFI will appoint a Project Officer (PO), who will be responsible for realising the final phases of the BAI advertising project efficiently and effectively. The Project Officer will demonstrate flexibility & an ability to work independently and collaboratively. They will be manage complex workloads, & prioritise tasks in order to meet agreed project deadlines and to ensure compliance with the terms of BAI funding. Under the guidance of the Archive’s Datacine Officer, the PO will be trained in the operation of the Archive’s 35mm scanner. They will also be instructed in the use of Avid editing software and in the proper management of metadata within the assigned digital workflow. The PO will scan the previously selected 35mm material to digital files, using specified codecs. In parallel with the cataloguing of the physical film items within the collection the PO will work as part of a team to undertake the cataloguing and storage of the digital files. This work will require the supervision and input of the IFI’s Access and Digital Collections Manager to ensure that the newly created digital files are integrated into the IFI’s Digital Archive. The PO will be responsible for managing the digital assets and for creating the relevant technical and content metadata for the newly digitised files, which is essential to ensure their long-term preservation and stability, and to provide access to them in a digital environment. This will involve managing and transcoding files so that three separate digital file formats be created to meet Preservation, Production and Access requirement, in accordance with the OAIS model of digital asset management. • Operating 35mm film scanner to ingest 2k scans of project films at the highest possible level of quality. • Operating separate audio ingest point and software. • Other duties appropriate to the post as may be assigned from time to time. • Strong data management and organisational skills. • Ability to work independently and as part of a team in a busy environment. • Cataloguing experience and knowledge of descriptive standards would be an advantage.